Mobile network O2 has apologised for an outage, which left over 10 per cent of its customers without service on Friday. Over 2 million of the company's 23 million UK subscribers were unable to make calls, send texts, or access web connected services, with many insisting that problems were continuing into Saturday morning. O2 says the issue has now been fixed and advises those still being affected to switch their handsets on and off in order to resume service. "We are genuinely sorry that a number of customers had problems with their service on Friday afternoon and evening," said O2 on its support pages. "The problem is now fixed and full service has been restored. We can assure all our customers that we are continually working to improve the consistency of service they get from our network." O2 says the problem was caused by a failure to the "network nodes which help connect and manage traffic," and said the issue was different to the one which knocked service out for some users this summer. 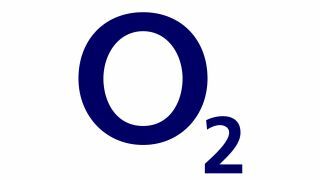 Following the last outage back in July, O2 handed out a substantial compensation package to customers affected by the service disruption. That won't be happening again. "While the network outage on the afternoon of October 12th was highly regrettable we will not be offering compensation in this case," O2 said on Saturday morning.